Sending a satellite into space is pretty difficult, not to mention expensive, so instead of sending a bunch of satellites into space to tinker with, why not design a single, highly versatile satellite that a bunch of people can share? That’s exactly what physicist Peter Platzer, aerospace engineers Jeroen Cappaertl and Joel Spark, and NASA business manager Reka Kovacs set out to do. They’re calling their creation the ArduSat (Arduino Satellite), since it uses Arduino Nano microcontrollers as the main controller for the satellite. The Arduino boards will also host the applications uploaded by ArduSat's users. Peter, Jeroen, Joel, and Reka basically crammed a 10-by-10-by 10-centimeter box with as many sensors as they could fit, all rigged on custom space-ready materials. The ArduSat will use solar panels and a battery for power, and it'll run off of a handful of Arduino boards. Since radiation in space can mess with the electronics, several Arduino boards will run the same program and compare results to help eliminate errors. The satellite has a ton of sensors--including ones for for light, pressure, and temperature00along with 3 cameras (which you can use to take awesome pictures in outer space). All of these sensors are at the disposal of those who buy time to use the satellite, which is expected to be in orbit for around a year. Small orbiters like these are known as CubeSats, and they can often ride along on larger launches. 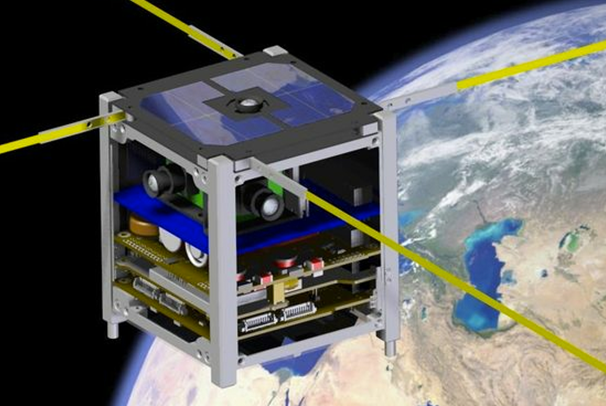 There are several opportunities coming up for ArduSat to get carried along into space, including a routine resupply trip to the International Space Station. In the unlikely event none of these options pans out, ppl4world could contract with a commercial launch service to send the ArduSat into orbit. 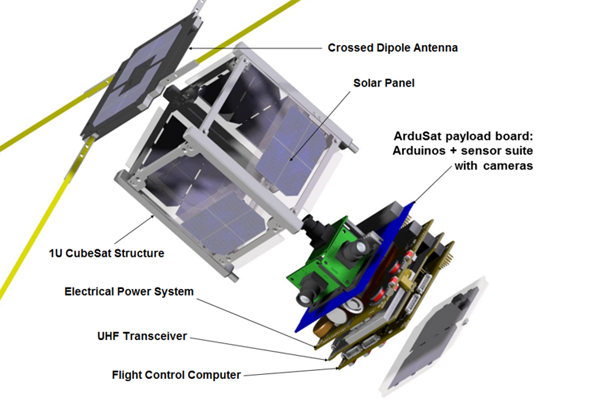 Either way, the group's goal is to launch ArduSat within a year. The team have a Kickstarter project going, and they’ve already passed their goal, but you can still buy some time to use the satellite. If you want to get some data from space, or maybe just take some badass pictures few other people would ever get the chance to take, head over to the Kickstarter project to check out the full list of rewards.